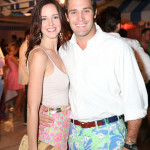 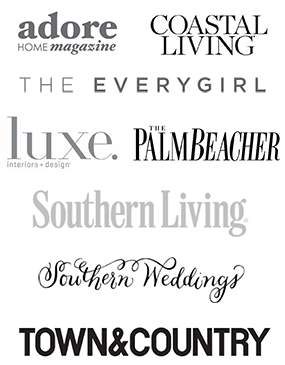 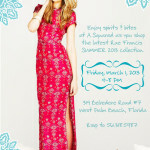 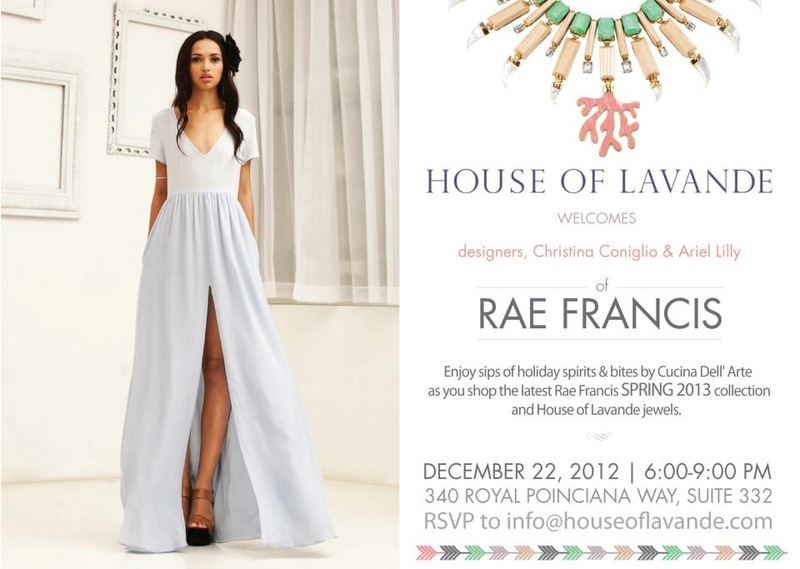 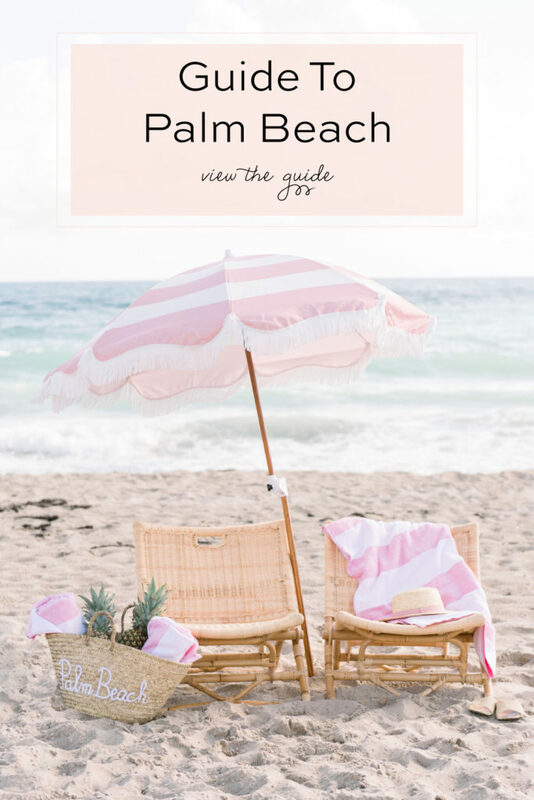 Join designers Christina Coniglio and Ariel Lilly of Rae Francis to shop their Spring 2013 collection on December 22, 2012 from 6 to 9 pm at House of Lavande in Palm Beach. 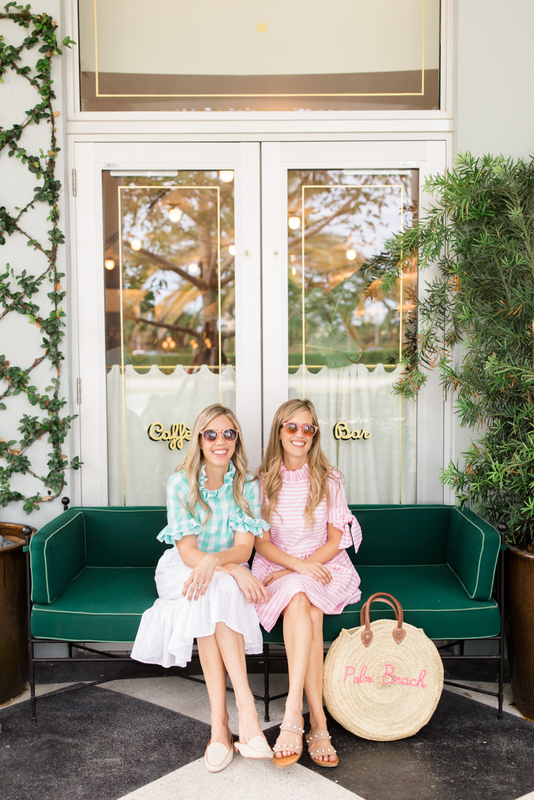 Enjoy sips of holiday spirits and bites by Cucina Dell’ Arte as you peruse clothing and jewelry from these two striking brands. Please RSVP to info@houseoflavande.com.